Yesterday we spent the day waking through the West Village and SoHo. This time we had the fortune of walking the streets with a friend and former West Village resident. It’s always fun to see a new place with someone that’s familiar with the area. When I bought the M9 I spent some a lot of time trying to decide what lens to buy. My goal was to get a one body, one lens setup. In the end I decided to pick up a 35mm Summilux ASPH Type I from a friend. I landed on 35mm, partially because I enjoyed the 35mm lens on the X1 so much, but mostly because it is a classic setup for street photography. Kind of a general, all-rounder. Wide enough to catch most of the street life and urban landscapes I enjoy and long enough that all I need to do is take a couple of steps forward and I’m right in the scene. Lately, I’ve started having second thoughts on this focal length. In the past I’ve enjoyed isolating my subjects a little more than the 35mm allows me to do. 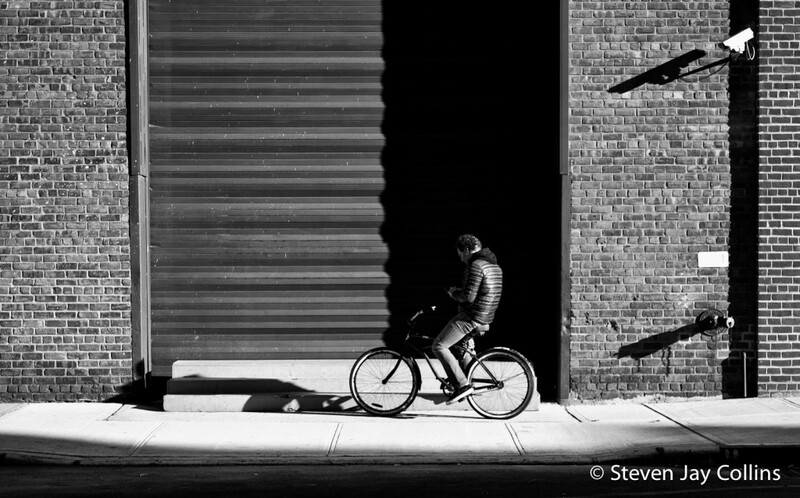 So, yesterday I mounted the 50mm Summicron Type IV and shot the West Village and SoHo. So, what’s the problem you may ask. The problem for me is that if I do decide that 50mm is the ideal focal length, I will want the 50mm Summilux and not the Summicron. Unfortunately, I can’t afford to just run out and get the 50mm Summilux, so in the meantime I need to shoot the 50mm ‘cron to see if it’s the right focal length for me.